I have now finished creating my 2019 wall calendar. If you are within Guatemala, you will soon be able to buy a professionally printed copy from locations around San Marcos La Laguna. You can also come to the Four Pillars and buy a copy directly. Unfortunately international distribution of a physical copy is not possible as Guatemala does not have a postal service! However, you can purchase an electronic copy as a pdf for US$10. Simply use the contact form at the bottom of this page to send me a message, pay through PayPal and I will send you a download link to get your copy. Tambien, la versión electrónica del calendario 2019 está disponible en Castellano! As an example of what you will receive, here is an electronic copy of my calendar from 2017, please click the image below to take to the document which you can view and download. Once again I have decided to put 20% of the profit from the calendar into a very special project. I have been very fortunate to meet some incredible people through my work. One of them, Monica Berger, came to visit me after sending me a very special book. This book is a compilation of Maya healing techniques, direct from the wisdom and experience of 67 elders from 5 ethnolinguistic groups (Kaqchikel, K’iche’, Mam, Mopan, Q’eqchi’). It shows how the indigenous people here use techniques such as herbal preparations, ceremony and energetic divination to understand, and therefore cure, diseases. 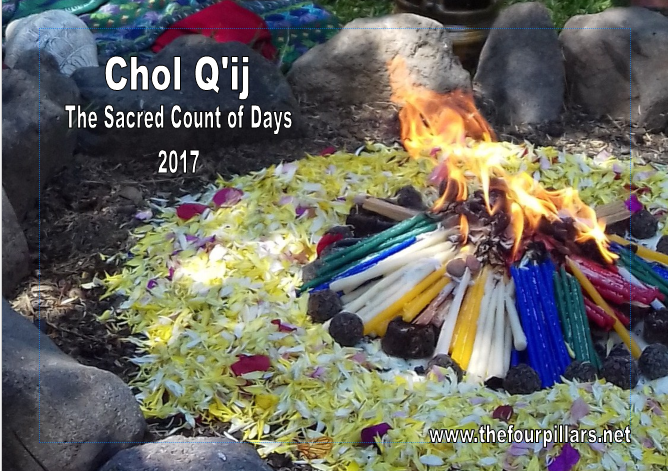 This unique study is one of the most thorough I have ever seen, and most importantly this is made by the elders in order to preserve the ancient wisdom which is fading away as each them transitions to the otherworld. The goal of the project at the moment is to raise funding for a translation of the book into English, followed hopefully by its publication for distribution to the English speaking world. 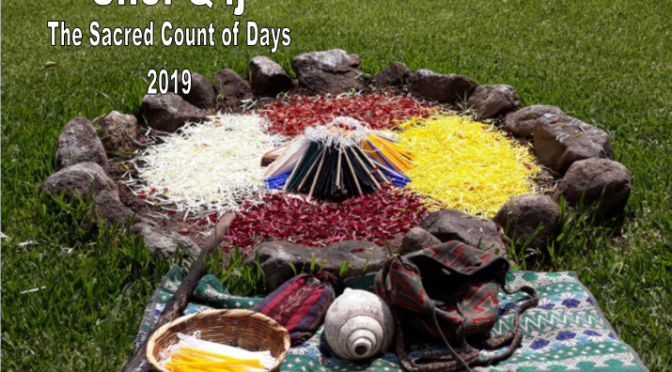 The eventual aim is to create a “Nimajay”, a Great House of the Council here in Guatemala, which can serve as a repository and training facility to pass knowledge to the next generation of Maya Medical specialists, effectively a university of Maya medicine. I am very excited to have the opportunity to play a small part in this project, to conserve the source of the wisdom which forms such an important part of my life. If you would like to order an electronic copy of my 2019 calendar, please use this form to do so.